Paul Scholes believes that Jesse Lingard has the same amount of talent as Henrikh Mkhitaryan at Manchester United. Lingard has struggled to hold down a regular starting spot in the Premier League under Jose Mourinho this season but he was very impressive in the 4-2 win over Watford at Vicarage Road on Tuesday night. The 24-year-old made his second Premier League start of the season against Watford on Tuesday night and notched up a goal and an assist against Marco Silva’s men. Mkhitaryan has fallen down the pecking order at Old Trafford in recent weeks following a dip in form from the Armenia international. And former Manchester United midfielder Scholes rates Lingard just as highly as Mkhitaryan, although he’s not sure about his best position. 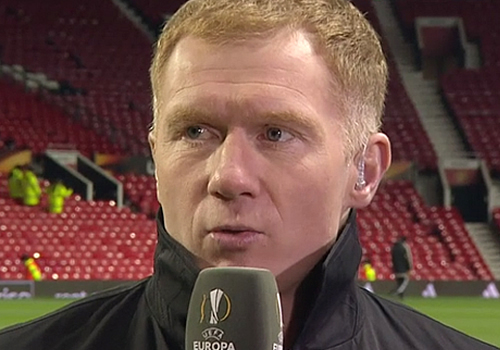 Speaking to BT Sport on Tuesday night, Scholes said: “He’s not the big name of a Mkhitaryan or somebody like that. [But] he’s got that ability. He’s got the same level of ability as Mkhitaryan. “He has to establish himself now, he has to be more consistent, he has to produce more performances like that to make him a real first team player. Manchester United now turn their attentions towards preparing for their crunch Premier League clash against Arsenal at The Emirates on Saturday afternoon. The Red Devils are aiming to win the Premier League title this season for the first time since their final triumph under Sir Alex Ferguson in the 2012-13 campaign. Manchester United finished sixth in Mourinho’s first campaign at the club last term.